Living near the ocean is a requirement the world over. Blue skies, beautiful beaches, and deep blue seas invite you to indulge in this way of life and everything is within reach. An oceanfront property is a universal aspiration, and acknowledged as the ultimate in real estate ownership. Spectacular architecture, carefully designed interiors and superb inclusions demonstrate the casual lifestyle that is now a way of life for many lucky people. This book captures every aspect of seaside living with tantalising beach house designs, those that have made the sea change, exclusive seaside homes and architecture and seafood recipes to capture the imagination. 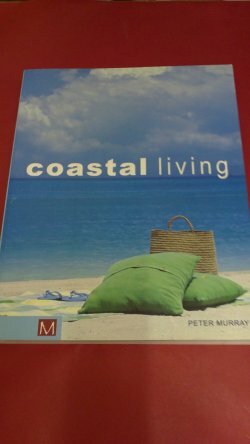 Relax and take yourself away to the many destinations and experience "Coastal Living".192pp.